Bahrain’s retail sector has been growing steadily over the past decade and remains one of the most dynamic sectors in the Kingdom, with an annual growth rate of 13 per cent, according to a new study by KPMG. During the 2007-17 period, the increasing population coupled with household income growth, as well as the inflow of tourists from Saudi Arabia, have led to the tripling of retail capacity between 2007 and 2017, said the study titled “Tourism: A Game Changer for the Retail Sector in Bahrain”. 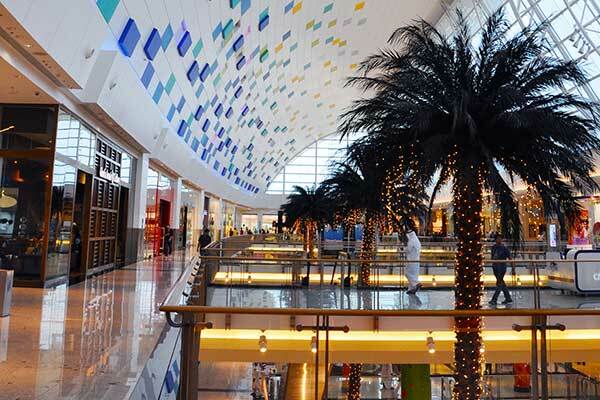 According to the report, the ten largest malls in Bahrain are located in prime areas and account for a total footfall of 51 million visitors per year and enjoy high occupancy levels ranging between 95 per cent and 100 per cent. However, the average number of retail square meters per resident is less than half in comparison to global cities such as New York and Dubai, and is more comparable with cities like Singapore and Hong Kong. This means the local retail market has still not reached full maturity, which indicates positive signs for growth potential. “With the increasing investment in infrastructure and malls, especially in the Northern part of the island, we expect the sector to continue to grow at the same rate in the next two to five years,” Nouwailati added. The report also highlighted how tourists’ pending patterns differ, according to the number of days they spend in the country. On average, tourists arriving via Bahrain International Airport tend to stay, 4 days longer than the tourists arriving through the King Fahad Causeway. Up until 2017, the latter group accounts for more than 90 per cent of 1-day visitors per year. As a tourist destination, Bahrain has an average length of stay of 2.6 days compared to 4.2 days in benchmark cities, such as Dubai, New York, Paris, Hong Kong, Singapore and London. Hence, there is a huge opportunity to increase revenues for public and private stakeholders in the retail sector, if tourism, including the number of tourists and the length of stays, are improved. “If Bahrain attracts an additional 1 million tourists and increases the average stay length to 3.6 days, the country could generate BD300 million ($795 million) of additional revenue from tourists’ expenditure on the retail sector only,” Nouwailati concluded.